Side-winders moored up at Christmas time. Side-winders had a trawl on each side of the boat and were used for side-trawling, a practice which preceded stern trawling. 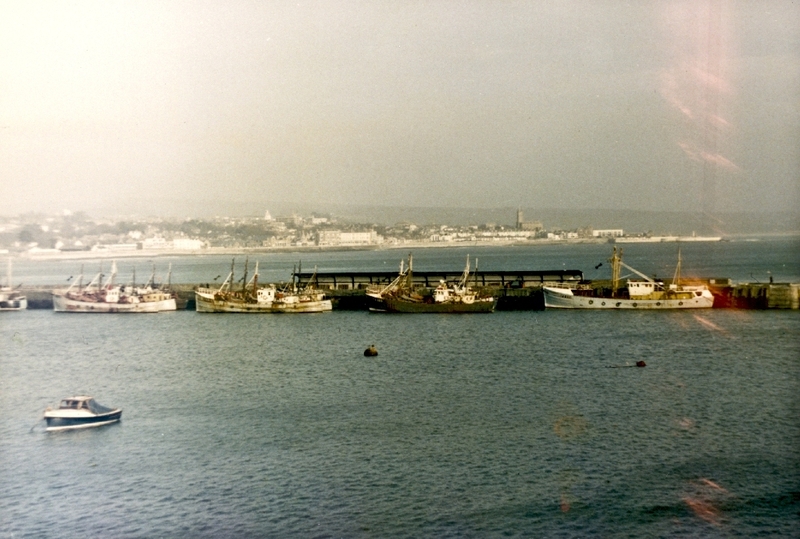 Billy Stevenson, “Fishing Boats, Newlyn, 1973,” cornishmemory.com, accessed April 24, 2019, http://cornishmemory.com/item/STE_1_003.